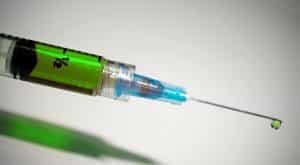 During the last few weeks of August, 2016, people in Indiana have been overdosing on a dangerous opiate painkiller called fentanyl that’s being marketed as synthetic heroin. Officials in Indiana reported 14 overdoses, one of which was fatal. In Cincinnati, Ohio, 174 people overdosed on this drug in the last six days. The week before that, 27 people in Huntington, West Virginia overdosed on synthetic heroin within five hours of each other. The drug is also believed to be responsible for 20 Milwaukee overdoses in the last two weeks, all of which resulted in death. Authorities in Ohio and Indiana are comparing the recent increase in overdoses to the overdose increases reported a few weeks ago in Akron and Columbus. There, a drug similar to fentanyl called carfentanil was being sold on the street as heroin. Fentanyl is a synthetic opiate that can be up to 100 times stronger than morphine. Although the drug has been responsible for numerous overdoses since 2005, public health and DEA officials say that synthetic opiate use has increased dramatically in the Midwest over the last few weeks. Local police in Newtown, Ohio are warning people to avoid street heroin because there’s no way to know what the drug actually contains. In 2013 and 2014, fentanyl caused more than 700 deaths by overdose. In March of 2015, the DEA released a national alert about the dangers of synthetic heroin. In 2016, synthetic opiates have been blamed for over 50 overdoses in Sacramento, California, 12 of which were fatal. The drug is also thought to be responsible for 17 overdoses in New Haven, Connecticut over a one week period, 11 overdoses in Columbus, Ohio that killed two people in one night, and nine overdose deaths in Tampa, Florida over a three-month period. Last week, the Centers for Disease Control (CDC) reported an 80 percent increase in overdose deaths in 27 states including Ohio and West Virginia. Most crime labs and coroners don’t test for fentanyl, so overdose deaths may be even higher than reported. The CDC suspects that those who are dying from opiate overdoses are purchasing synthetic heroin when they think they’re buying organic heroin or counterfeit OxyContin. Why Fentanyl — And Why Now? The prevalence of synthetic heroin in the illicit drug market is largely due to economics. Synthetic opiates cost little to manufacture and are easy to make in labs with just a little knowledge of chemistry. A kilo of fentanyl and a kilo of heroin both cost about $4,000 to produce. A kilo of heroin goes for about $60,000. After being cut and sold by the gram, it has a street value of several hundred thousand dollars. By contrast, fentanyl is so potent that it can be cut and divided into 16 to 24 kilos, thereby skyrocketing a dealer’s potential profits to somewhere in the neighborhood of $1.3 million dollars when sold on the street. Synthetic heroin is easy for drug dealers to get. It can be purchased from Mexican gangs that produce it themselves or import it from China where it is manufactured for black market sales and for pharmaceutical companies. The drug can be used to cut heroin, sold as a powder, or pressed into pills for buyers who don’t want to smoke it or inject it. Because the drug is available in pill form, it can easily be passed off as pharmaceutical oxycodone. To confuse matters even more, buyers and sellers often don’t know that what they are buying and selling is synthetic heroin. Mexican gangs are also manufacturing drugs that are similar to fentanyl but pack even more of a punch. Carfentanil, for example, is a drug used by vets to sedate elephants. It turned up in Cincinnati recently and has been blamed for overdoses in Kentucky and Florida. Is Drug Rehab The Only Solution? Public health officials now believe that the only way to solve the synthetic heroin overdose epidemic is to reduce demand. That means getting as many addicts as possible into drug abuse treatment programs. According to the DEA, cutting off the flow of synthetic opiates from China and Mexico is impossible. The only solution is to reduce the demand for opiates by treating the problem of drug addiction.